We have funded Dieter, our local beekeeper to attend an intermediate training course in Natural Beekeeping, with Phil Chandler in Devon. Dieter has built us a Top Bar hive to house bees at the orchard. 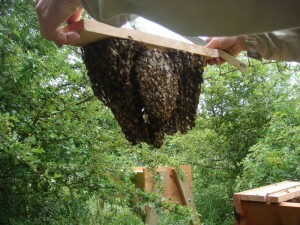 We will run bee keeping events where adults and children can learn about our bee hives and bees. Watch the ‘Events’ space for updates if you wish to join in.